Please note: WE know are led to believe the above results presented on this page are a fraud the email at bottom of page seems to give the reason why. I made a circuit with a chip 555, perhaps it can help you. Length: 35mm (1.37 inch) / Diameter:10mm (0.39 inch) / Meanders:5 / Wire Diameter:1mm (0.03 inch). Cylinder: Standard art off cylinder approx. 90 x 200 mm. 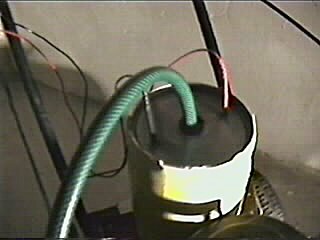 Filling: 1,1 litres water and 0,1 litres of sulfuric acid (10%) for the increase of the conductivity. First H/O splitting off becomes visible. H/O splitting off increases with frequency change. Frequency in follow further increased. Frequency is continued to increase to 700Hz. H/O production increases superproportionally. H/O production becomes smaller with rising frequency. Frequency is gone back gradually on 923Hz. End of the experiment. The frequency was gone back gradually again on 923Hz and held for 32 seconds 923Hz. Current supply was stored at short notice. Variation in volume about 1/5. 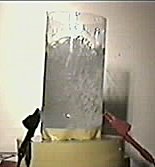 0,5 litres during the experiment split up into hydrogen and oxygen. split up into hydrogen and oxygen. from greater 1 litre/minute achieves. This corresponds to regular grade fuel in for instance a calorific value of 0.7 litres. 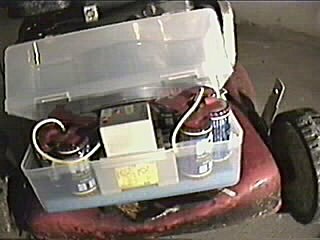 With 4 batteries (as for instance in the flashlight) it is possible to produce per hour hydrogen and oxygen in a quantity which corresponds to regular grade fuel in approximately 42 litres. 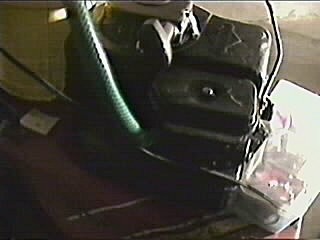 Until the batteries are exhausted, they produced for calorific value, which corresponds at least 252 litres to regular grade fuel. Converted a vehicle, which uses into approximately 10 litres on 100 km (62 miles), with 4 commercial batteries could drive about 2500 (1553 miles) kilometers far. This contains links and some diagrams to help you make your circuit. I had some emails assuming that the web owner (me) has performed the above experiment,I have not done so and have merely reproduced the report at this site. 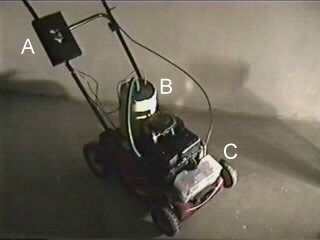 I have had some reports of others conducting this experiment and not getting the results as claimed. one of these is reproduced as below. I reference to the high frequency electrolysis link on the energy21. I'm a member of an inventor's coop in Northern California and am very interested in researching more efficient means of electrolysis for producing hydrogen on demand for powering vehicles. I have accessed Puharich's patents and white paper and the Xogen patent and other information which you might also find interesting. I thought of starting with something simple like trying to obtain similar results to your experiment. In trying to replicate or at least approximate the results found in your page on high frequency electrolysis we had very different results. We utilized an existing power circuit designed by a friend, an electronic engineer. We started with a solution of 10% battery acid, commercially available in the US, It is not clear to us what concentration of sulfuric acid this is, but we added 30ml of this to 270ml of tap water in a plastic beaker. We then used two 24k gold plated copper electrode coils attatched to our power source. 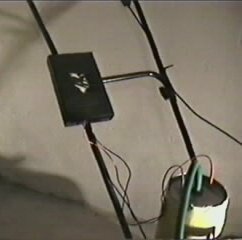 The power source was CURRENT LIMITED to 250mA, the voltage supplied to the circuit was 12V, but as measured at the cell it varied from 1 to 2 volts as the impedance of the cell changed. 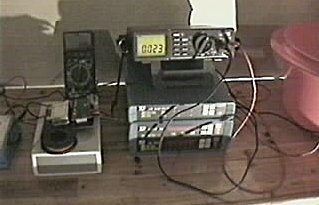 The cell impedance changed when we varied the frequency of the power source from .6Hz to over 1300HZ. In doing so, we found no change whatsoever in the amount of gas produced as we varied frequency. The only difference we found was that the bubble size changed from large (approx .5cm) to very small. Because we found that the voltage across the cell varied with frequency we are wondering if perhaps your circuit was voltage requlated with the current varying freely in response to the impedance load of the cell as the frequency varied? If so, this could explain the dramatic difference in gas produced due to current variance. 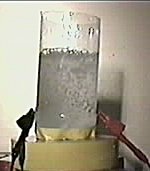 I am very interested in more efficient electrolysis of water to produce cheap hydrogen and am wondering what we might share to resolve the differences in experimental results? Thank you for your work and effort put into making so much of this and other information available to people on the internet. 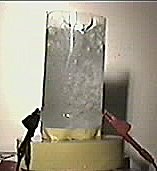 at about 5 amp continuous could affect electrolysis of water in order to splitti water in hydrogen and oxigen? is it a considerable exothermic reaction? 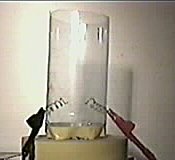 i�ve heard about a certain tesler experiment that could apparently produce more energy than the one used to generate it using vacum, high voltage and high frequency. if so, how come is it possible? on the other hand, i�v also heard about an Enistein theory about a certain unknown energy that backs up this experiment.. 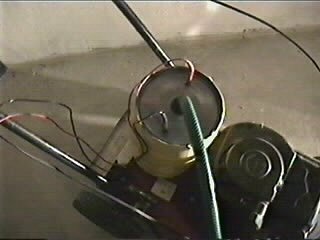 It doesn't take a particularly high voltage to split water. 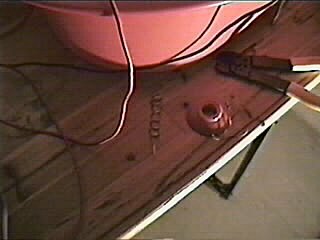 There is a threshhold voltage necessary to split water at all. Above that voltage, the splitting will go faster. But voltage isn't all of the story. If you have a sufficient voltage, the current determines the amount of water that can be split. The amount of power (energy per time) that goes into the splitting of water is the product of the votage and current. Efficiency will be the amount of water split per amount of energy used; for maximum efficiency, you will want to use as low a voltage as you can, and a high current. If you use a higher voltage, the extra energy escapes as heat. Using a high frequency alternating current will actually interfere with water-splitting. In alternating current, the potential constantly reverses itself, and there is a risk that you will also reverse the reaction at each electrode, and turn your newly-made hydrogen and oxygen back into water. For efficient electrolysis, you want direct current. The splitting of water is not an exothermic reaction. It is considerably endothermic. 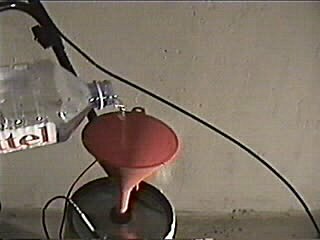 Much heat is released when hydrogen and oxygen recombine to form water. I have no knowledge of either the tesler experiment or the unknown Einstein theoretical energy.